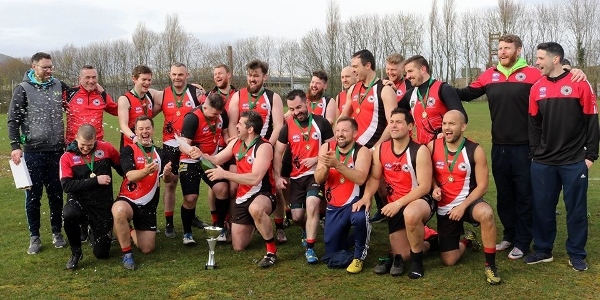 Belfast Redbacks last weekend hosted the Leprechaun Cup for men and women. The tournament is the big season catalyst needed for clubs ahead of the start of the AFL Ireland season which isn’t far away. The following report from the Belfast Redbacks details the day with all scores, with the host team, the Redbacks, taking the men’s title and the University Shamrocks the women’s. 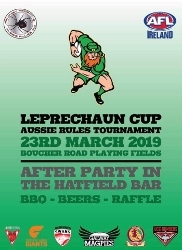 Saturday 23rd of March saw the annual Leprechaun Cup being held at Boucher Road playing fields with 5 men's teams and 4 women's taking to the field of play. The London Swans and South East London Giants made the trip over from across the water and fielded teams in both the men's and women's competitions. The Galway Magpies, the South Dublin Swans and the Belfast Redbacks brought the number of men's team to five. 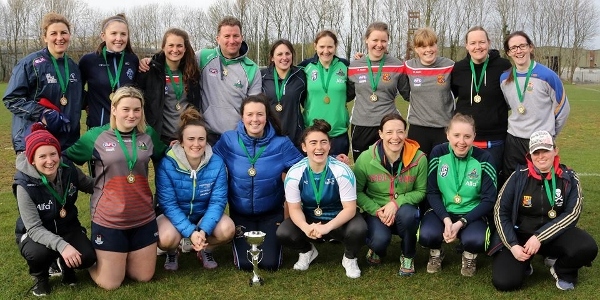 The girls from the newly formed West Lothian Eagles made the trip to Belfast for the first time and the last team in the ladies competition was the Irish University Shamrocks team. The conditions were great with a dry and bright day greeting everyone at the ground around 9.30am. There was some great footy skills on show throughout the day and it was great to see the games all played in such great spirits. The Redbacks were thrilled to welcome some new clubs to Belfast for the first time and it was encouraging to see many returning faces also. The Irish girls got off to a flying start and went through the day undefeated with some new players and returning veterans making up their squad. Congratulations to Mary Hurley who was named the best on ground in the ladies final. 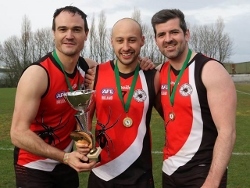 The Redbacks preparations for the upcoming AFL Europe Champions League in Amsterdam paid off and they too went undefeated through the day and lifted the Leprechaun Cup in the men's competition. Congratulations to Dean Skinner of the Redbacks who was named as best on ground in the men’s final. The Redbacks would like to dedicate their victory to our teammate Sean McGlinchey who is recovering in hospital after a recent accident. After the games all clubs headed back to the Hatfield House Bar in Belfast for some much needed cold beers together. We would like to thank everyone involved on Saturday that made the Leprechaun Cup 2019 such a huge success! If it wasn't for the travelling clubs, umpires, medics and volunteers this day simply would not happen. The Redbacks now focus on their trip to Amsterdam in 2 weeks where they hope to build on their recent successes.